Dont miss out on the latest offers! Now showing amazing spring savings on Wines to get you in the mood for those lazy summer days to come! Fresh bread and croissants on Saturday mornings. Fresh Vegetables and homemade cakes in store every Thursday. 'Cook' speciality frozen meals from one person portions to cheats' dinner party dishes! Order fresh poultry, meats, bacon, sausages, game, smoked products... give 3 days notice and just come and collect. All from local suppliers including Cutler & Bayliss, Kelmscott Pork and Upton Smokery. 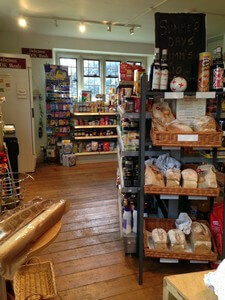 All this on your doorstep... support your local Village Shop... Use it or lose it - please shop shop shop!! Operated by our community for our community. Open 7 days a week - run by a mix of paid staff and volunteers. If you would like to be one of those people let us know!